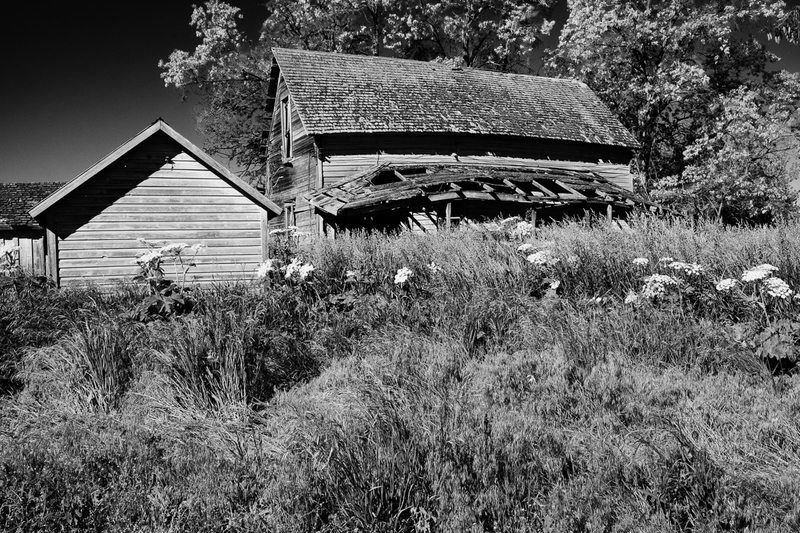 Day 3 of my Black and White week shows yet another abandoned farmhouse in the Palouse. I’ve probably mentioned this before, but it’s worth repeating as it’s unlikely most visitors will read every post, but these abandoned farm structures are not on abandoned farms. The buildings just became old, or redundant, and it’s apparently more efficient to just let them sit and deteriorate than to tear them down and clear the land. Regardlss, they make for fun photo subjects.